IT'S the stuff nightmares are made of - plovers coming at you in attack mode from all directions. But local film maker Ashley Walmsley said when he was faced with the imminent danger of the angry little birds, it didn't deter his mission to save three chicks who had wandered away from their nest near his home. 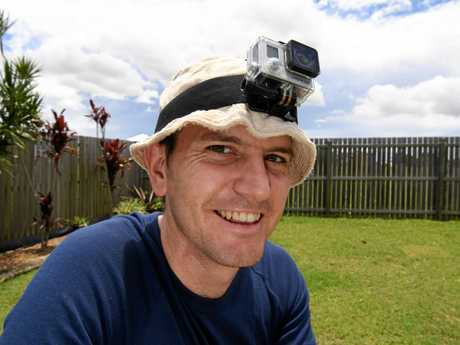 Mr Walmsley, with a GoPro strapped to his head, filmed the self-proclaimed "heroic efforts”. The three-minute mockumentary, which he titled Saving the Plovettes, has been recognised at The Capricorn Film Festival and has made it to the finals of the annual film competition. "My film is a short documentary of courage,” Mr Walmsley said. "It was really about my heroic act of saving three plover chicks. 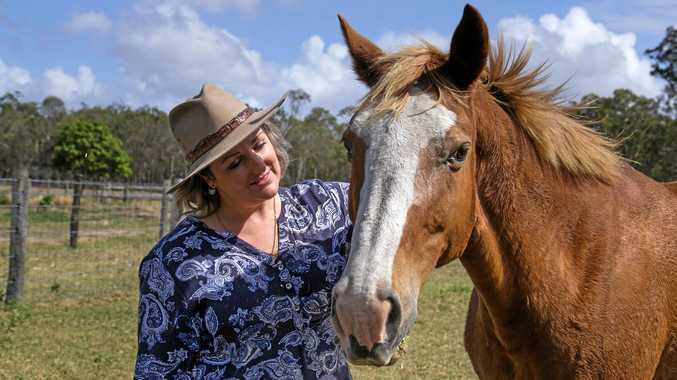 Saving the Plovettes: Ashley Walmsley a finalist in the Capricorn Film Festival. 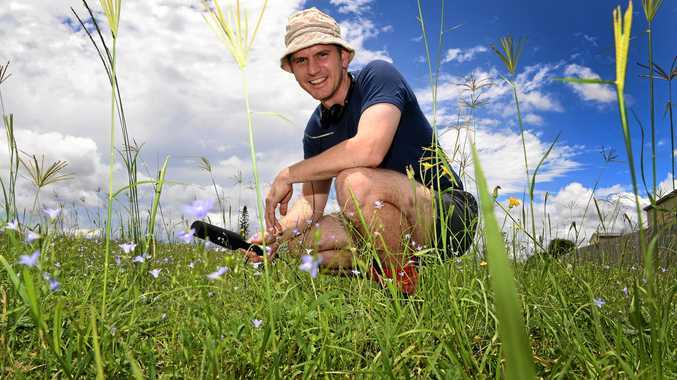 Mr Walmsley said he was not a wildlife warrior but that changed once he heard the tweeting. "Obviously when you pick up a chick the parents aren't going to be overly happy,” he said. "They were coming at me from all angles but I rose above the sheer danger to put them back over the fence. The Fairfax journalist said he had dabbled in a few film projects, but they were an unsuccessful hobby until now. "Creating a film is a lot of hard work, it always takes up a lot more time than what you think,” Mr Walmsley said. "I guess the judges took a liking to this one because it is something a little bit different. The film will be shown at The Capricorn Film Festival on Saturday, December 16, at Gladstone Entertainment Convention Centre. The annual event had over 400 entries this year in four film categories. Mr Walmsley said he enjoyed creating his film with the plovettes, even if it meant putting himself in harm's way. "They are God's beautiful creation, they just happen to be terrifying,” he laughed. "To sum the film up, I think it is just a simple, modern-day-miracle story. ** Ashley Walmsley's film is not available to view until after The Capricorn Film Festival.